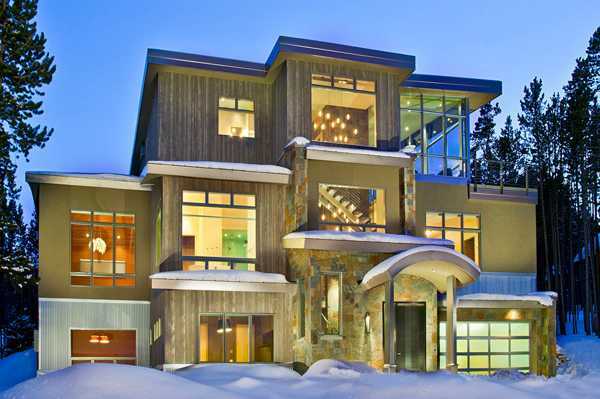 The gorgeous house is located in Breckenridge, a popular ski resort in Colorado, USA and offers three floors and 560 square meters of airy and inviting living spaces. 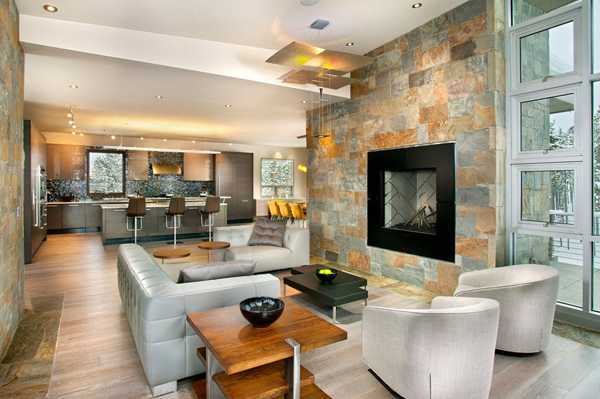 The central part of this modern house design is the living room offering a breathtaking view of the mountains. The large house features five bedrooms, including two master bedrooms, two children bedrooms and one guest bedroom. Gorgeous house exterior design impresses with natural stone, wood and steel material combination. A beautiful staircase design is complemented by an elevator, adding convenience to this unique and luxurious house. Light and bright colors are blended with exquisite interior decorating details, creating an atmosphere of comfort and warmth. 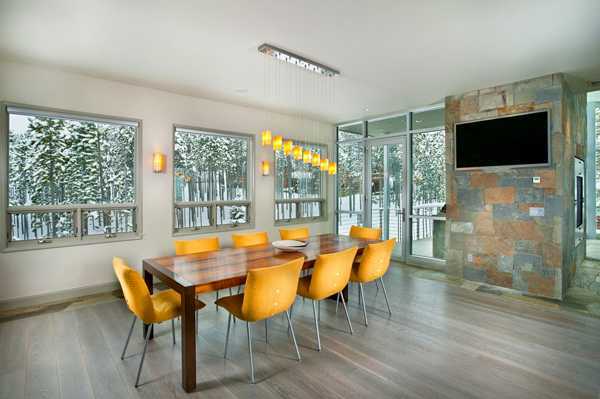 Natural wood and stone, warm yellow home furnishings and bright lighting make interior design and decor feel warm and welcoming. The house exterior features a beautiful combination of stone, wood and steel. Warm and neutral exterior and interior design and decorating colors echo the natural colors of spectacular landscape, creating a fairy tale like house, perfect for winter holidays and weekends.